Are you an Apple family or an Amazon family? If you think you’re locked into an ecosystem now, just imagine if you’d been using the same services since before you could ride a bike. Today’s students are tomorrow’s customers, after all, and devices are inexpensive enough now that elementary school students can carry smartphones. Both Apple and Amazon have introduced new account features that let families share content. Apple has Apple Family Sharing, and Amazon is slated to turn on Amazon Family Library later this year. These programs let families link Apple or Amazon accounts together to share information and purchased content, which will make it harder to switch platforms — now you’re not just leaving your own apps behind, but your family members’ as well. You don’t need to strictly choose between the two programs, but when you’re buying ebooks it might be worth considering how you want to share them with family members. Sharing content used to be a lot more difficult. Sure, families could share logins, and many did, but it wasn’t a perfect system. Especially as Apple ties more and more features to a user’s Apple ID, such as Find My iPhone and Continuity, it’s a situation which could lead to mom’s iMessages being delivered to her children’s phones. Now that both Apple and Amazon have a way for households to share downloads, it will be interesting to see if Google and Microsoft soon follow suit. Here’s how Apple and Amazon’s programs differ and how they’re trying to get families to sign up. Number of users: [company]Amazon[/company] lets you add six different users to your family. Two adults can serve as administrators for up to four children. Parental controls: Amazon offers a good deal of parental controls. For instance, parents can restrict purchases unless the child knows a five-digit pin. There’s also a slew of on-device options for parental restrictions on the Fire Phone or Fire tablets. Non-family members: Amazon will perform a rudimentary family check, which will take the form of ensuring that all Amazon accounts sharing content have the same billing address. What media you share: Families can share apps purchased from the Amazon Appstore, select Kindle ebooks and select Kindle Audiobooks. You can share Prime Instant Video access, but you won’t be able to share individually purchased music, movies, and TV shows. Parents can also restrict videos or music based on MPAA or RIAA ratings. Amazon also has an “all-you-can-watch” subscription, Kindle Freetime Unlimited, that offers kid-oriented videos and apps. Share personal information: Unlike Apple Family Sharing, Amazon’s service is largely focused on content. Amazon doesn’t have services like Find My Devices or Photo Stream. Hardware: Amazon Family Library will work across Amazon’s line of Fire tablets, the Fire Phone, and Fire TV. It also works with most iOS and Android devices — anything that can run the Kindle app or Amazon Instant Video. 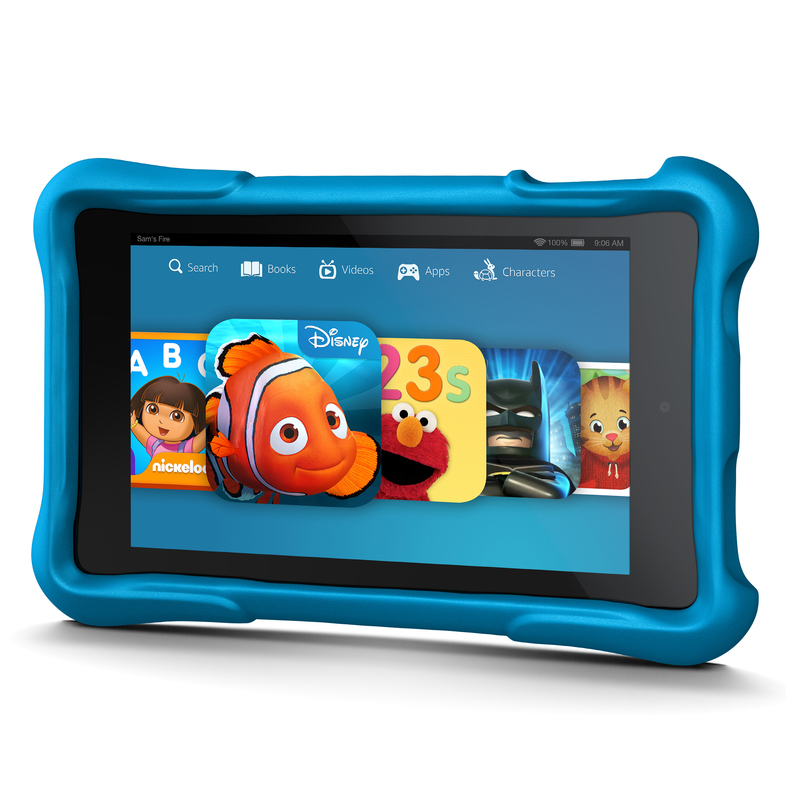 Amazon also has a new line of Fire tablets intended for kids that feature a strong warranty. Advantages: Amazon lets its devices have different profiles that you can sign into, whereas Apple’s philosophy is largely one-device-one-Apple ID. So if you’re booting up your Fire tablet, you can sign into your child’s account, instead of giving him his own touchscreen device. Amazon also doesn’t put advertising on its kids-oriented tablets. How to set it up: Amazon Family Library has not officially launched yet, and won’t go live until the end of October. Number of users: You can add six different Apple IDs to your family across 10 different devices, including Mac computers, iPhones, iPads, and iPod Touches. Non-family members: Apple’s not checking birth certificates. You can add a friend to your family group so you can share your apps, and you can remove him or her whenever you’d like. It’s easy to remove someone from your family group under Settings > iCloud > Family. However, all family members Apple IDs should be have their billing addresses in the same country. Children under 13: Apple will allow users to to create an account for a child under 13. While signing up family members, you’ll also have an option to “create an Apple ID for a child,” which requires making an iCloud email address for the child as well as creating a few security questions. Parental controls: Apple Family Sharing lets parents ability to approve app installations on a child’s device: The notification pops on the parent’s phone. Family members can also see each other’s device wearabouts via Find My Devices, and remotely lock each other’s phones. But parents can’t set limits on the amount of time their children spend on a device. There also aren’t options to set restricted sites on Safari through the Family Sharing programs — you’ll have to have your child’s device in hand and set those in Settings > General >Restrictions. What media you share: A family can share apps, ebooks, audiobooks, music and video. Family members can find that content under the “purchased” tab. In-app purchases are not shared, so your family won’t be able to share a single bulk pool of Candy Crush lives. App developers and content owners can opt out of Family Sharing, but it remains to be seen whether that will become a widespread practice. Sharing of personal information: Apple’s iOS 8 can pool family calendars, reminders, and photos in one place. But where Apple’s solution really shines is that family members can share their whereabouts via their device’s GPS coordinates. For some families, this might be par for the course, but you might get some pushback from teenagers (or adult children that you want to share apps with). Cost: Free, for all those with [company]Apple[/company] products. Hardware: iPhones and iPads that run iOS 8. That means the iPhone 4S is the oldest iPhone that works and the iPad 2 is the oldest tablet that works. Advantages: If you bought apps or media that you’d rather your family didn’t see (say, U2’s complete catalog) you can “hide” them from family members by swiping left on the piece of content in the Purchased tab. In terms of the number of quality apps available, Apple’s ecosystem wins handily. 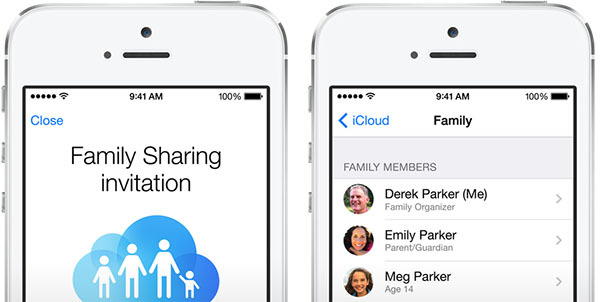 How to set it up: iTunes Family Sharing is currently available for users running iOS 8. Here’s a fantastic guide to get you started. There are hybrids, too. For example, all our devices are Microsoft/Windows, so we use familysafety.microsoft.com to control web surfing and mobile app installations. BUT, that leaves out any content. We have two options there. For music: Through at&t, there’s a pretty good Beats (Apple) famiily membership, or we can use Rhapsody. For video: Netflix,although it lacks teeth; Windows holds up better there. For books: Amazon/kindle devices work really well. all my people are apple people – don’t like Android and the apps the way they function – like a PC! apps are first built for Apple and ported into android – not as good even on the same app. Apple Family of course – and 99% of all the people I know are apple families – I guess I’m just lucky that way. I haven’t seen any Amazon families after the iPad Mini came out.